How realistic is the Republican promise to balance the budget in 10 years? How realistic is a balanced budget in 10 years? House Republicans have put aside the debt ceiling as leverage in their fight for spending cuts. 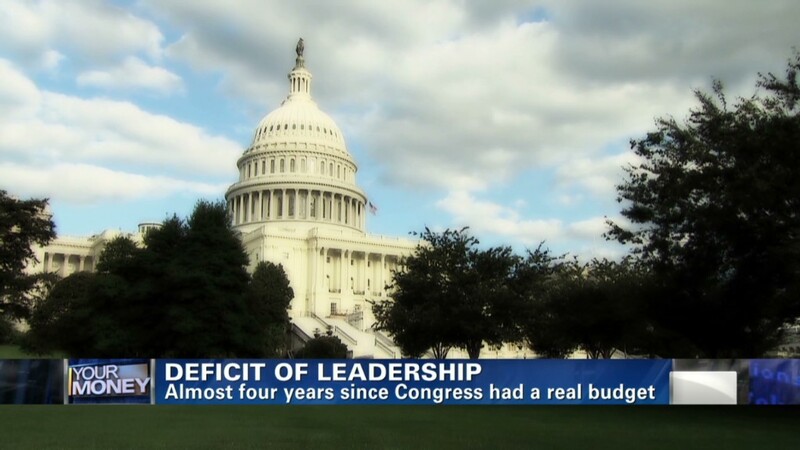 Now their goal is to balance the federal budget in 10 years. Leading the charge will be Paul Ryan, chairman of the House Budget Committee, who is drafting the GOP's proposed 2014 budget. Ryan's budget last year was savaged by Democrats for its spending cuts, among other things. But even that budget, which would have slashed deficits significantly, would not have resulted in a balanced budget until close to 2040. So how realistic is it now for Republicans to balance the budget within 10 years? "Technically it's plausible. ... But politically it may be too much," said Rudolph Penner, a former director of the Congressional Budget Office. One reason it may be plausible is that the House will be putting out what's called a budget resolution, which sets broad targets for spending and revenue. It's the starting point in a months-long process and doesn't require lawmakers to offer all details on how to meet those targets. In addition, a budget resolution is based on a set of policy and economic assumptions -- and small changes to things like economic growth forecasts can make a big difference to the bottom line, Penner said. Another reason: Ironically, given Republicans' opposition to raising taxes, Ryan's job will be made somewhat easier this year by the more than $600 billion in new revenue that will be raised thanks to the fiscal cliff deal that Congress passed over New Year's. For instance, Ryan's budget last year would have racked up a roughly $250 billion deficit in 2022. The new revenue would reduce that to about $130 billion, according to estimates from the Committee for a Responsible Federal Budget. A balanced budget is virtually guaranteed to be a non-starter with Democrats. Their goal is to stabilize the debt by the end of the decade. That is, reduce annual deficits enough so that total public debt remains constant as a share of the economy. Democrats are also likely to reject the House Republican budget proposal because it's likely to include more of the controversial proposals they rejected from Ryan's budget last year. Ryan proposed lower spending levels than those set by the 2011 Budget Control Act and called for Medicare to include a premium support system starting in 2023. He also wanted to convert funding for Medicaid, food stamps and other low-income programs to block grants. So for House Republicans to reach a balanced budget within 10 years -- and to do so only through spending cuts, since they've ruled out raising any more tax revenue -- they would have to do much more, and sooner. It's a fair bet that health care entitlement changes will be central to the effort. "Like most in the private sector, we want to transition from a defined benefit scenario to a defined contribution scenario. 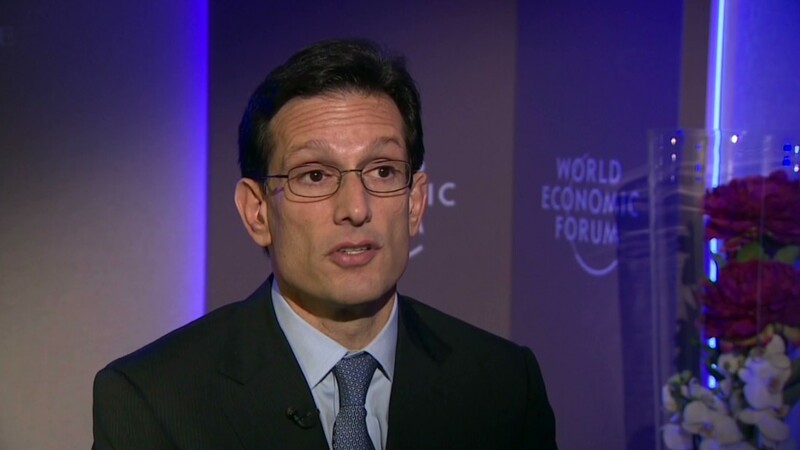 But you need to affect some real reforms in health care delivery and compensation and payment," House Majority Leader Eric Cantor told CNN's Ali Velshi this week. One way to get to a balanced budget faster might be to enact Ryan's Medicare premium-support model in 2018, five years earlier than in his previous budget, said Marc Goldwein, senior policy director at the Committee for a Responsible Federal Budget. Or reduce Medicare provider payments. Or raise current retirees' Medicare cost-sharing. Independent deficit hawks aren't pushing for a balanced budget within a decade because it would require drastic changes that could hurt the economy and couldn't fully address long-term drivers of debt. At the same time, they say Democrats' goal of stabilizing the debt is only a first step. Health care costs must be brought down and entitlement programs reformed or the debt would soon start growing again. It may be several weeks before Ryan unveils his budget. In the meantime, all eyes will be on the Congressional Budget Office, which will release its latest budget and economic outlook for the next decade on Feb. 4. That will give a much clearer sense of the magnitude of changes needed to balance the budget anytime soon.